This lovely necklace was made in Mexico by Los Ballesteros. 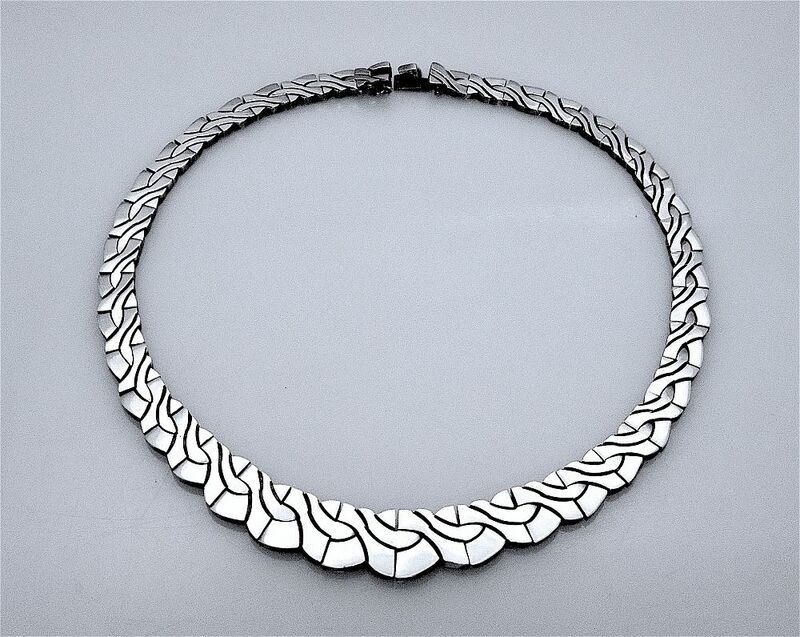 It is composed of a series of graduated flat interlinking sections, each section having an incised abstract pattern that gives the impression of a woven necklace. 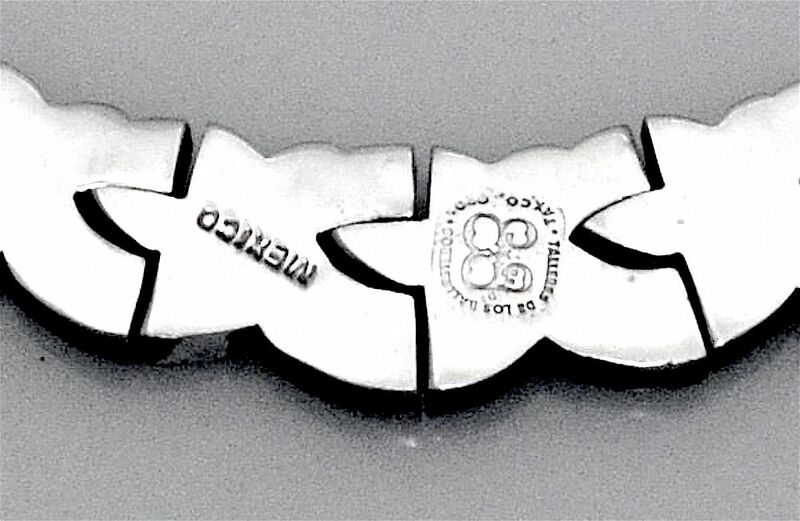 The back is stamped "Talleres de Los Ballesteros Taxaco" and "Mexico" and has the Los Ballesteros logo. This necklace is a piece that you can wear casually or smartly.